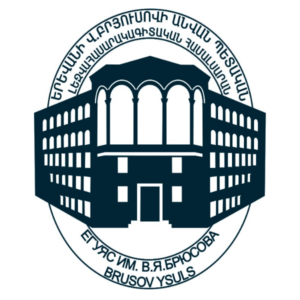 Yerevan Brusov State University of Languages and Social Sciences, being one of the leading Universities in Armenia in the field of Linguistics, Human and Social sciences, is continuously establishing new and diverse study programs enrolling thousands of students and creating a new learning atmosphere and methods. YSULS puts strong emphasis on the development and integration of interdisciplinary study programs especially in the field of Humanities and Social Sciences hence the introduction of these LNSS modules particularly to do with Information Literacy with Referencing citation and avoiding plagiarism for example as well as the other modules will be an important development for YSULS. The University currently collaborates with a number of international institutions such as the European Centre for Modern Languages (Graz, Austria), The Association of Francophone Universities (AUF), The International Visegrad Fund, European Language Council (ELC, Germany), etc. YSULS cooperates with more than 50 European, Asian and American Universities implementing various exchange programs and training courses. In the 2013-2014 academic year the University had more than 80 incoming students and 20 international professors and hence is fully committed to improving the management and operation of higher education through student and staff mobility including libraries and library staff.